Enjoy data transfer rates of up to 5Gbps so you spend less time syncing (actual rates depend on your device's speed). Unibody aluminum exterior is sleek yet durable, effectively resisting scratches and wear from repeated plugging in. 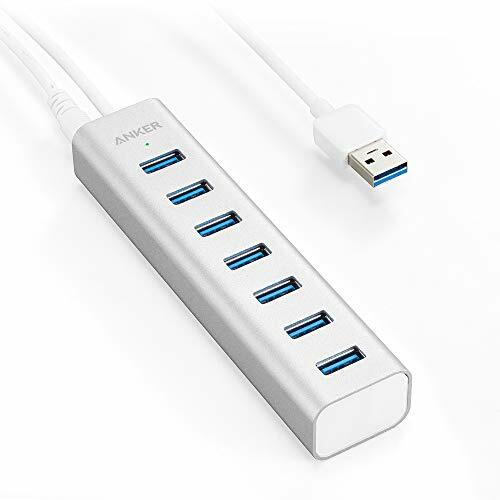 Powered solely through the USB connection when on the go or connects to the provided power adapter for a higher power output. 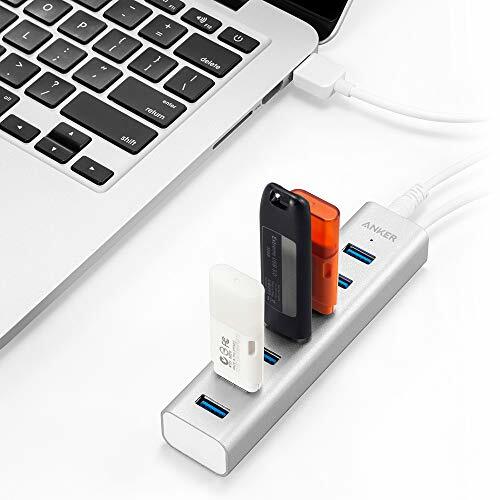 Built-in surge protection keeps your devices and data safe and supports hot swapping. No drivers required for Windows 10 / 8.1 / 8 / 7 / Vista / XP, Mac OS X 10.6 to 10.9, Linux 2.6.14 or above. 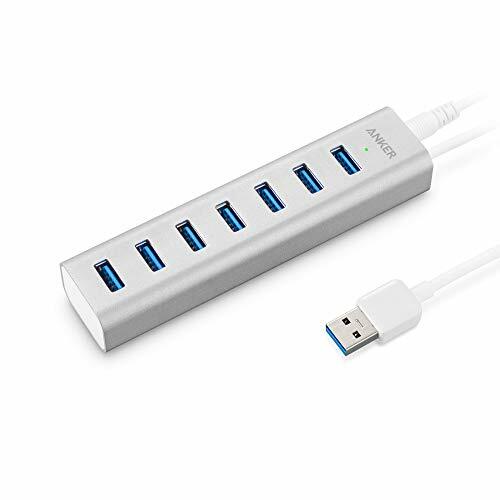 Package contents: Anker Unibody USB 3.0 7-Port Aluminum Hub with Built-in 1.3ft USB 3.0 cable, 5V / 3A power adapter with built-in 5ft cable, welcome guide, our fan-favorite 18-month warranty and friendly customer service. Simplistic. Speedy. Expansive. 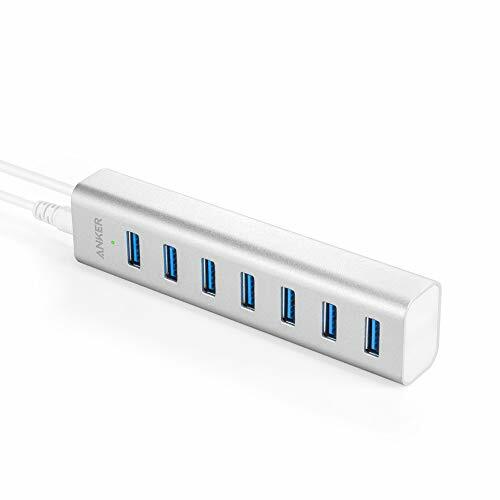 Complement your computer with added ports and style. and keeps it looking tidy. should upgrade to Mountain Lion 10.8.2 or later to avoid unstable connections. as external hard drives. The hub will sync but not charge tablets and other devices which require a higher power input.